I will soon be setting up a classroom for the first time in many years! I am both excited and nervous. The last time I set up a classroom there was no such thing as Pinterest. Only a handful of us even had classroom websites, and blogs weren't popular yet either. (Yes, I'm old) Whereas now, I have a wealth of ideas at my fingertips and the challenge lies in deciding which one I want to try! I've been collecting and pinning ideas for years. I recently sat down and chose 3 pins of "new to me" products I've added to my summer shopping list. 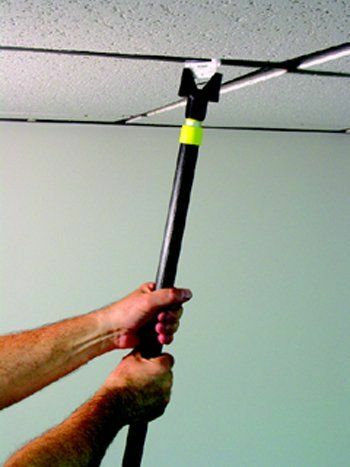 The first is this Ceiling Hanglers Grid Clip Put-er Up-er. Yes, that is what is officially called on Amazon! From reading the reviews it looks super handy and easy to use. However, be sure to note that what you get is the end attachment that you screw on to any broom or mop handle. I will report back later once I have use this nifty little device and let you know if it's a cool as it looks! I also want to grab one of these Magnetic Towel Bars to use for hanging anchor charts on a white board. Seems like a clever and portable way to display anchor charts, especially if you have a small classroom with no room for a chart stand. I am thinking I could move it to the side of my filing cabinet if I need to use the white board space for something else. We shall see. Looks like these can be found at both Walmart and Target. My last item is a little more expensive than the previous two. It's a Pro Click Binding Machine. This might be a little too frivolous, but it looks so nifty and I can think of lots of ways to use one. I like that these spines snap and click closed tight! I would love to hear from those of you have tried these products and how they worked? Please let me know your must have items items! 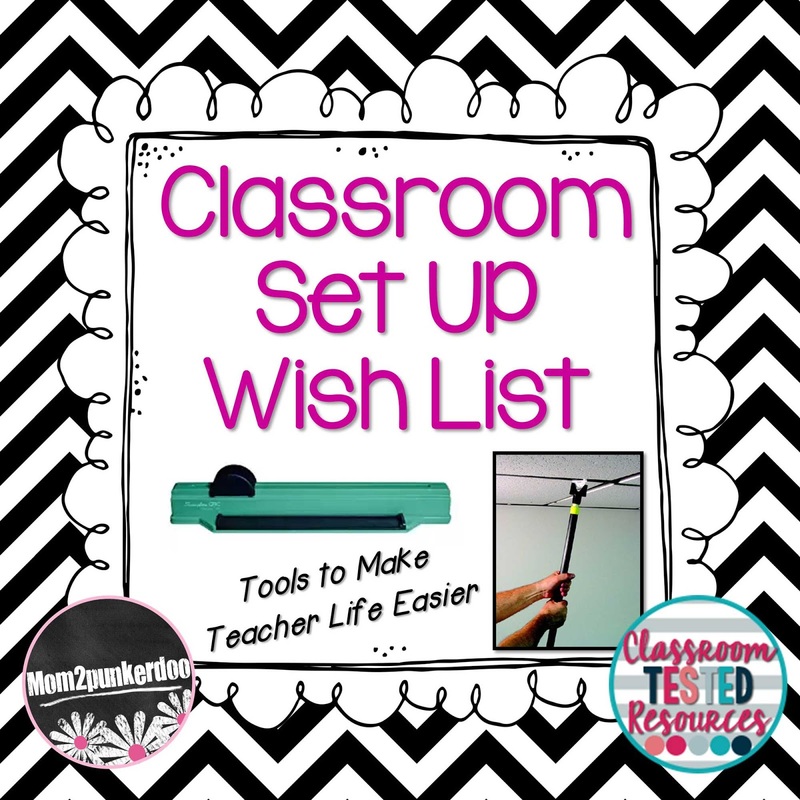 For additional ideas for setting up your classroom be sure to check out my Classroom Organization Pinterest Board! Follow Mom2punkerdoo's board Classroom Organization Ideas on Pinterest. Magnetic towel bar...great idea! Never thought of that. Thanks for sharing. 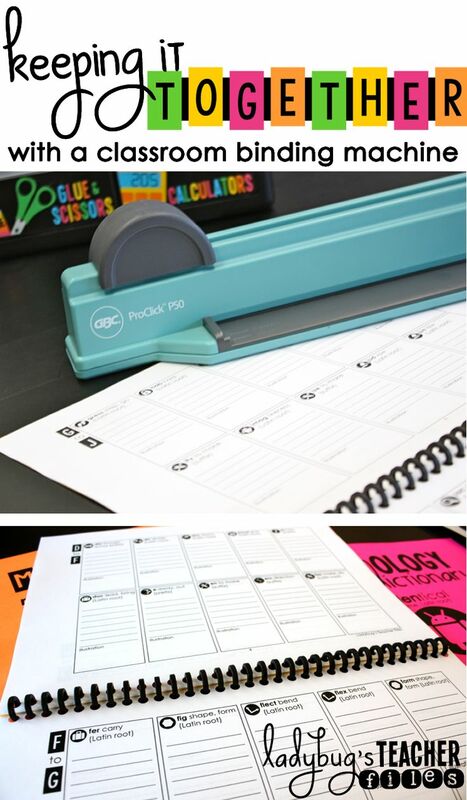 A PaperPro Stapler is a must! I use mine for everything! I have one of the Ceiling Hanglers and LOVE IT! 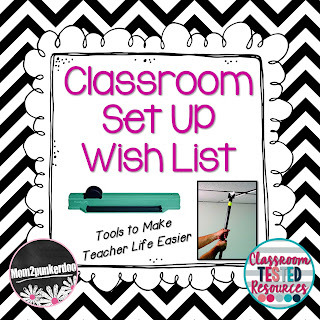 Oh how I dream of a magnetic whiteboard and not bathroom paneling...I used to have one at my last school and it was awesome...now I just drill holes in the cinder block...LOL I do love that binder thought; it is on my wishlist.